Join the Polish Genealogical Society of Connecticut and the Northeast for a Polish Folk Art Workshop. 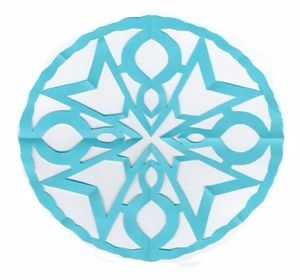 A Polish Folk Art Consultant and Specialist will teach you how to make a wycinanki (Polish paper cutout). The instructor has become an expert in teaching and presenting programs featuring Polish historical and art history themes, as well as a wide variety of Polish craft, culture and folk art activities. Besides her degrees in Art, she has also received a specialized diploma in Polish Folk Arts from Nicolaus Copernicus University in Torun, Poland. Please bring scissors and a glue stick to the program. Paper will be supplied. Sponsored by Polish Genealogical Society of Connecticut and the Northeast.